Researching the novel, I have been reading Wei Jingsheng's astonishing letters. Which include his letters to Hu Yaobang in the early 1980s... delivered or not at the time, they will have been received in the novel, they will be discussed, as the liberal minded leaders n Beijing struggle with the ideal and the possible, between dinosaurs and impatient reformers. Informed by He Yuhuai's wonderful Dictionary of Political Thought of the People's Republic of China, plus my knowledge of the Hu Yaobang and Hu Qili... albeit knowing so little at the time of what they were doing behind the scenes. Drawing remains an important balance, a mental diversion. I recall hearing the incomparable Joni Mitchell say she needed a second art form (painting plus poetry, she said: perhaps, just perhaps, she has three?) for balance and creative energy. And drawing requires some courage, the plunging in is like the plunging into fiction. I have a dislike of the rigidities of rectangles, hence some preference along the way for painting objects. 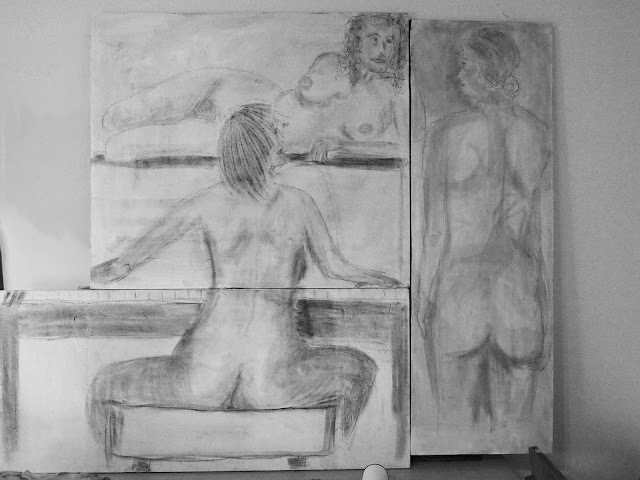 But having some time ago picked up in someone's kerbside chuckout in Sydney (how to furnish your house well and interestingly for cost of travel) about 20 old canvases, I have just done a life-size drawing over three canvases, something of a triptych, not a rectangle, nor separation between the canvases. The textures of the three canvases differ and thus the mood of the three parts, impacting on the three figures. In total about 150cm wide, 135 high. "No, he's not here, but we're looking for a soprano"
But it seems to me and some others that Australia, not least with its excessive entanglement in alliance with the United States, about which I have written previously, faces a difficult future. We have to change direction. At the end of the day, our populations just don’t really care enough about something that might cause problems in the far future, so they want the politicians to pretend to be doing something as long as it doesnt interfere with business as usual. … the puzzling tendency of states and their leaders to act contrary to national interests: why did the Trojans open the door, why did the Aztec' give in to a bunch of Spaniards, why did the Popes spend up and lose half the church, why did the British so rigidly stay with a silly point and lose most of North America, etc. And then reminded of Robert MacNamara's 1987 book Blundering into Disaster ... MacNamara sternly opposed to 'blundering'. My view is that 'blundering' is essential to progress: that the event that broke the long-stuck opposing postures of the US and USSR was when Reagan and Gorbachev put out their officials from their talks in Reykjavik in 1986. The record may show the talks as failure, but I think this event ended a long stuckness. Such statesmanly blundering to be contrasted with the orderliness of MacNamarian persistence in going down roads without blunder, on the way to disasters. So if there is to be a breakthrough in thinking, it seems to to me to have to occur in some breakthrough, albeit prepared for, blundered-into-and-seized-upon manner. As maybe, maybe, sanity in managing life on increasingly wilder Sydney streets could come from reactions to one mad death. Maybe. After a day of thought I am not optimistic about brick by brick construction of new vision, the questions are what will be the 'days' and how to seize them. And answers 'can't tell' but have to have contingent thoughts. … from which the most important point to which I stick is the erosion of ability to think in terms of conflict resolution, conflict avoidance, win-win outcomes. The national politics and the 24 hour conflict-focused media madness are no help. Our present situation [I said in 2004] is not just like following or obeying or egging on the United States in Vietnam. This is much more terrible than that. This is indeed a new world war, one which is no better comprehended than was what happened in 1914 then. In 1914 and again in 2001, there was a rush to alliances, a taking of sides that polarised and made more enemies and closed avenues for peace making and conflict resolution. In 1914 and again in 2001, there was expectation of swift victory — the French in 1914 shut down arms factories to hurry men to the front. Today United States military forces are being unsustainably chewed up at reserve as well as regular level by longer-than-planned war. In 1914 and again in 2001, there were flushes of nationalistic fervour and there was castigation of opinion opposed to war policy. Let us remember that Keith Murdoch, Rupert Murdoch’s dad, his inspiration, achieved greatness by his journalistic campaign that reversed policy and produced withdrawal from Gallipoli. We did not stay the course there. We call on the media to take a stand against closing down the vocabulary of public debate. We reject the idea that you can have a free press if it just follows the drumbeat of the War on Terrorism. In 1914 and again in 2001, there was only a war policy, only a bunch of advisors with maps and war plans and notions of taking the war to the enemy. If you only plan for war, war is all you can get. We reject the idea that war is the only option. In 1914 and again in 2001, there was no real thought that there were issues to be resolved between the rich and the poor, to resolve disadvantage, to redress the balance between those who consumed most of the world’s resources and dictate terms in world affairs and those who had no such share of resources and who resent being dictated to. We reject the idea that the United States or Australia has a divine right to shape the world. We affirm our readiness to listen to people with different voices from different cultures and to learn from their wisdom. In 1914 and over the years that followed, as in 2001 and years that follow it, we see political leaders create a situation where they must remain consistent with already failed strategy. They must chew up more lives, because to do otherwise risks not just their own positions but the whole posture and shape of state power they have built up to reinforce their strategies. So much so, that rivals, like Bob Carr - and even the rock singer - have to speak the same language, have to say yes they will fight the War on Terror, otherwise they themselves fear being political losers because the whole political vocabulary has been distorted by fear and misinformation. We say to ALL political leaders this: we reject the macho thick-skull notion that you can’t change your mind. We will support you in any pursuit of sane new policy directions to other than war. I have become increasingly of the view since that it is in the nature of modern war that it tends, more than anything else - certainly it does not tend to ‘victory’ - to import into the righteous invading countries the problems you seek to eliminate by invading. You will of course be able to say: “See, I told you terrorism was rising and we had to act.” But at some point you will have to acknowledge some responsibility for that: validating the use of violence to pursue personally defined righteous objectives, then steering the focus of foreign policy to a singularity of security mind-set such as we had in the 1950s. It seemed such an irony in 2003 that we, armed with self-righteous indignation, went into Iraq to whack them around; shortly thereafter the government launched a ?$20 million advertising campaign against the righteous indignant use of force in domestic violence. I can't find statistical trends over past decade in domestic violence. My impression is that all sorts of outrageous behaviour has become more commonplace. It has had official endorsement, the example of state policy. It is part of the fabric of the times - part of why I think that one has to go deeper to overturn a keenness to lock-step with the US militarily. The vocabulary of strategic debate, put into uniform from 2001 onwards has gone viral; the absorption with security gone ubiquitous. As my Fairfax regional paper editor friend puts it: "We have people here who would write letters to me if they saw a gathering of white youths with bibles in Junction Street, let alone with skateboards, let alone Aborigines." One cannot imagine that in bringing the word 'sustainable' into the vocabulary in the 1987 Our common Future Ms Brundtland would have expected so soon to have it applied to accountancy, gambling and beyond. Same language process. So... what language to put into the populist pot now? but the American questions must be dealt with in the Asian Century white paper. How do you get traction in response to the White Paper? I assume it will be out before your September speech. "The United States will remain the most powerful and influential strategic actor over the period to 2030 - politically, economically and militarily. Its strategic primacy will assist in the maintenance of a stable global strategic environment." It remains unclear whether the novel which got stuck early in 2011 can form a coherent whole. People (including masterclass mentor) say "how does it end?" Strange thing: we want no clarity of ending in life, we want novels to work towards clear ends. I am more driven now by the perspective of Ford Madox Ford as I have quoted at last week's update of my aplaceof.info. No narrating, let the text be alive through impressions. And for me, the writer, let it find its own end/s. Initially focused in southeastern Australia, I thought I was in control until one character told me he was Aboriginal and then my lead character told me she was Chinese and had a huge history. This latter made my way forward difficult, as did distractions like living in Italy early 2011 and ill-health later in 2011. Restoring momentum, getting back to a situation where the novel chatters in my head daily, has had to wait. It is working now, and writing flows. 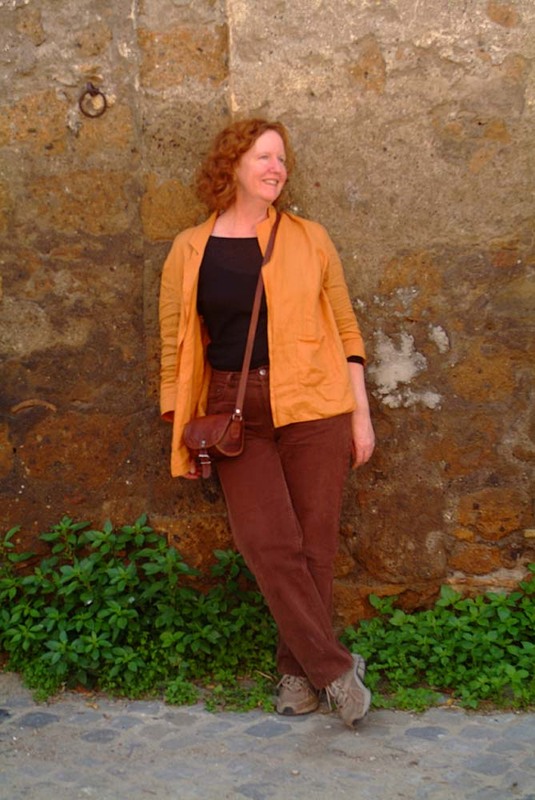 On 7 July I wrote 50 words – good words, a doorway, I thought – on the eighth another ten, then rushing to 1500 cryptic words... It was a good process to read the draft daily and find that the text was obscure because I did not understand what was happening. I figured that out as the story grew to the present 4000 words. I do not have the matter of eventual shape settled at all, but I know a core issue to be about how people interact, how they relate for any length of time, when the traumas in their lives have been disparate in scale. For the China half of the story, I have had to research, add more background to what has been in my head of the times and certain people. The excellent news this past week is that my main character has begun to write her own story and I find she has a point of view, or is developing a point of view, which I had not anticipate. The 4000 words just done, grounded in a moment of Beijing politics, 6 December 1978. I am including real people but as my characters are fictional the place and utterances and attitudes of the 'real people' are also fictional. I am not writing a history, though I find in exploring the way through modern Chinese history through the mind of a young intelligent woman that I gain insights myself as I hope may others. The novel will have a bibliography. I place this draft here for any comments. It may be torn up eventually, who knows... as Lionel Bowen said to me when I was writing speeches for him long ago, "You've got to remember, kid, the best speeches are the ones you never get to give." There is a continuing discussion of China on the web. I have commented on a piece today by Prof Pei Minxin, at the wonderful Project Syndicate web site. Pei is known for arguing that China is going to fail, variously. Elsewhere Prof Pei has spoken of China's government as a statistical outlier in its longevity among autocracies. China is also an outlier for its population size and consequent governance issues, its poverty and the historically unique rate of revolutionary change and its climb from poverty since 1978. There are problems with generalisations for the whole country. I was saying to people in the 1980s that the Chinese coastal strip contained at least four equivalents of post-war Japan, not like the 'little tigers' of Taiwan, South Korea, Hong Kong and Singapore, but on the scale of Japan itself; same picture more dramatic now. While other parts of China are less developed. The discussion in Prof Pei's later paragraphs about problems of accountability might be put in context of the way things have gone in western economies in recent times. There has not been much on offer for China as exemplary (or successful) political or commercial conduct in the US or EU or Russia, or India in the reform era from 1978. I have argued elsewhere that Chinese leaders work with more freedom, plan with more freedom than currently evident in many western democratic systems or academic institutions. I am not aware of any thread of political desire in this generation (or the next, the graduates mentioned) to break up this unprecedentedly large country, apart from some elements in minority populations. If we say there are problems for the rich and productive in China in getting more deeply into the markets of less developed parts of China, compare the EU dilemma, Germany needing to sustain and build its poorer and 'less well governed' fellow EU members if it is not to lose its own wealth. Mind you, I worry about my country's 20% GDP dependence on exports... while having more confidence in China's government to address big new issues than I have in the capacities of my own country's political system, let alone those of the US. We need to think about ourselves when doing this too-common rough-up of China. Yes, there are dinosaurs in the Chinese system, I recognise them because they are familiar locally. But there needs to be something more than this kind of statistical chartism, some more refined political examination, to really claim that China is on the verge of collapse. I am concerned not least because arguing in the United States about China in this way has for decades fed adversarial ways of thinking about China, which do nothing to lead towards positive outcomes. Feeding the kind of thinking that still imagines Reagan brought down the Soviet Union. Construction of collaborative connections with China by the US, Japan and others including Australia, is of the utmost importance for global security. We will all do better if we shift from zero sum gaming, make room. I have contributed another paper to the Lowy Institute's blog, the Lowy Interpreter, regarding Australia-China relations. It is not a simple matter to derive opinion from personal history on an issue, at least when one had a role in matters within the public service, in advice to different governments and when one retains obligations to sustain the privacy of advice in some respects. My reflections on the policy process within government in this article do not extend to more recently than 1985 and speak of one Cabinet submission and decision, from 1980, which is now in the public domain. I was conscious in writing this commentary also that I reveal something of what happened in my head and my actions and recommendations, advising on sensitive policy. This is important, I think, to provide a better view of the incremental nature of policy development and the role of officials in the process. I am especially conscious that when in 1980 I was developing a Cabinet submission about Australia-China relations, the relationship had gone out on a very narrow limb, with the traditional base of the relationship in Australia, within the Labor Party, then in opposition (I had just returned from advising Deputy Labor leader Lionel Bowen MP on foreign policy for two years), not entirely impressed by China's attack on Viet Nam in 1979 and the fierce suppression of public opinion at the 'Democracy Wall' which had preceded that in Beijing. There was great uncertainty about the political leadership in China, the legacy of Mao, and the role of Deng Xiaoping, described by me in an analytical paper with the Cabinet submission as the second most divisive leader in modern Chinese history (after Mao). Li Xiannaian came to Australia as "the most senior leader you will be seeing for a while" [Chinese officials] because the Premier Hua Guofeng was about to get rolled. during Tiananmen, see secret diary. for opposing martial law in 1989.
build up a new theory justifying reforms. the Communist Party of China." of the Soviet union, Gorbachev. with his reforms, but there is a difference. has support from his senior leaders." and is unable to withstand a clash. this end of the spectrum. 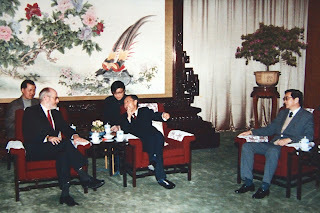 A senior Chinese official said to me in 1985 in Beijing: "Please understand, the worst time for us was not during the Cultural Revolution, it was later, after the death of Zhou Enlai and Mao Zedong [in 1976]. We had been through a very bad time, we had begun to emerge from it, here we were facing the possibility of it all happening again." The situation was still far from certain in 1980... and speculations about uncertainty in Chinese leadership now in 2012 comes from the same cloth. When you have to provide advice, walking through a bunch of such sensitivities (not uncommon), you have to be selective in building argument (as anyone is, ever?). 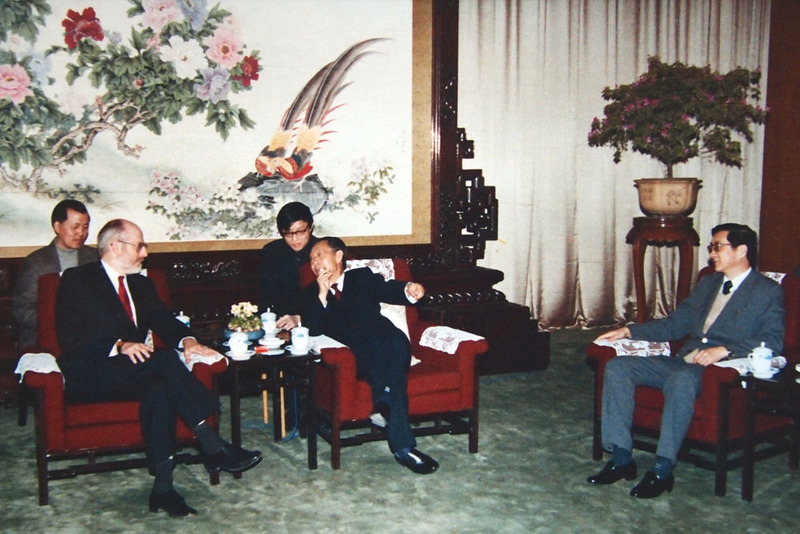 Malcolm Fraser, as prime minister, had followed what continued until quite recently to be a penchant from the time of establishment of relations with China in 1972, of prime ministers wanting control of the China relationship. His commitment to it as with the others, was one of fascination, recognition of China's importance, but with this added burden (or that was my word for it) of the anti-Soviet element drowning others. I really had no certainty where the balance of China's strategy would shift, on what odd perch our strategic bonding might be left. The key then was to do things to ensure we were valued by whoever was in charge in China, to do so by supporting 'modernisation' policies.. aware that if modernisation policies were to succeed in China, Chinese leaders needed supportive friends, aware that if the balance chucked out the modernising reformers in China, we were in trouble, the world was in trouble, China was in trouble. So... no telling the government its approach to China was too narrow: you reassure the government that its emphasis on the relationship is good, and say this is how to do it better. And to get good, broad advice to government, you have to get other departments in support. The Trade Department snarled. There was an old soreheadedness from when Foreign Affairs in the Whitlam days (when the Department had gone mad with its own self-importance, demonstrating that Diplomacy, not just War, of which Clausewitz wrote, could drive out policy to pursue its own ends) had set up an Inter-Departmental Committee on Japan. The IDCJ spent its days fighting over command and was destroyed by the incoming Fraser Government after 1975, yanking Japan right out of the department to a Japan Secretariat. So I had to convince Trade to go along with an 'interdepartmental working group' on China, which they endorsed with their own minister co-signing the Cabinet Submission. In the event with my Trade Department counterpart sitting with me in the interdepartmental working group when it got going, we were able to round up the potentially feral activities on China in various departments and get the whole relationship into some kind of synergy. Five years later, mind you, John Menadue, then Secretary of the Trade Department, looked hard at me, over his desk, when I was back from Beijing for official business and said: "You have to understand, there are people in my department who hate what you are doing and there are people in Foreign Affairs who hate what you are doing [in trying to coordinate the China relationship]. I am supporting you but it's not simple." This detail is not intended as self-promotion but to provide an historical depth to discussion of the issues involved in building a stronger relationship with China... and to invite others also to wonder what mental paths are followed these days by China policy advisors. I am very conscious of the way the best Chinese leaders constantly search for new ways of thinking about issues and resolving them - much more than 'the west' does, where freedom to think in new ways is so limited in government, academia and elsewhere. This Chinese freedom seems not understood, not brought into the equation by western political, academic and media observers.